After a long and exhausting week, there is nothing better than escaping into the magic of a good family movie. Some weeks I only have the energy to flop down on the couch with the kids and press play, but sometimes a movie inspires a little more action. Perhaps a special movie themed treat to eat, or maybe a quick and easy craft activity? Boss Baby is a fabulous family movie that will make everyone laugh (even us parents!). If you’ve ever bought a new baby home and older siblings have had a little ‘adjusting’ to do, you’ll relate to this movie! Plus this was one of those fun family movies that sparked a little craft action. 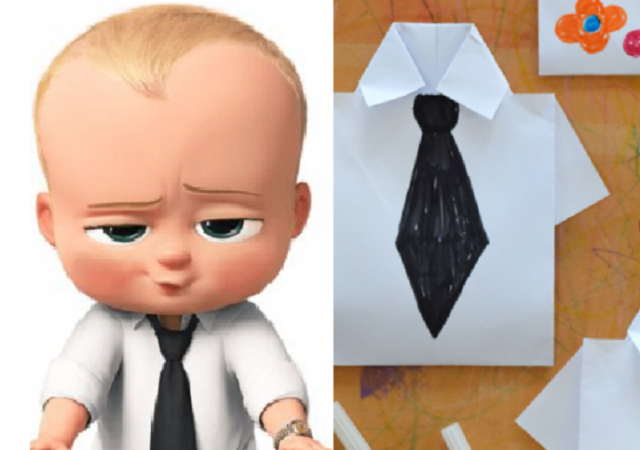 After the movie we were crafting ‘like a boss’ making these fun Boss Baby-inspired origami business shirts! What’s great about this craft is that it is easy, and low mess. There are no fancy materials required, just a piece of paper and some markers! 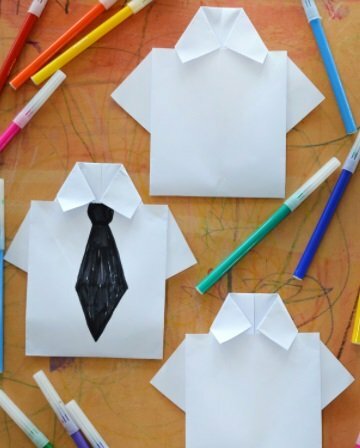 Craft Like a Boss and Make this Bossy Baby-inspired Origami Business Shirt. 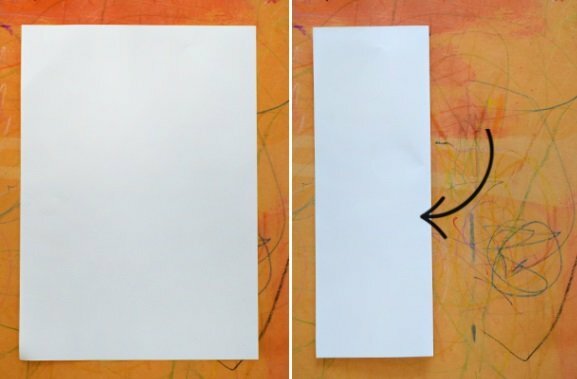 Take a piece of A4 sized paper, regular old printer paper will do, and fold it in half down the middle. 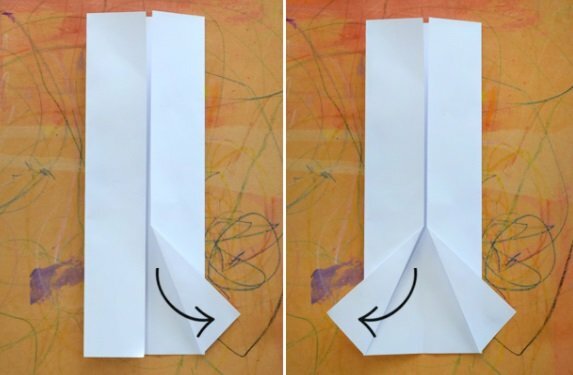 Open the paper and fold the two outside edges into the middle. 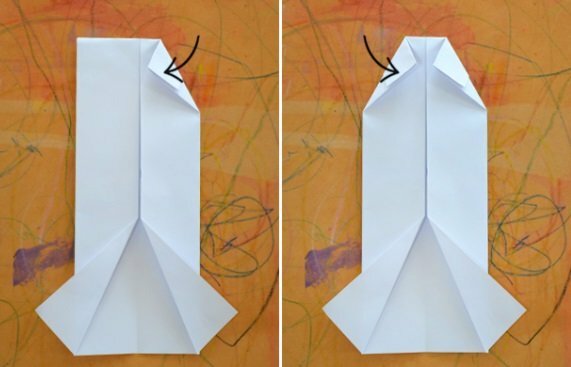 Take the two bottom flaps and fold them out to make a V shape. These will become the shirt’s sleeves. 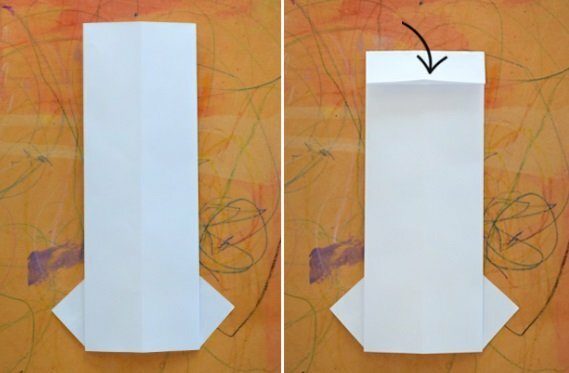 Turn the paper over and fold the top down about 2 cms. 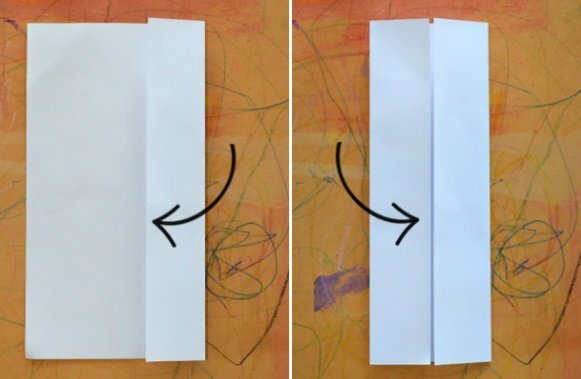 Flip the paper back over again and fold the top corners into the centre crease. This will be the collar of the shirt. 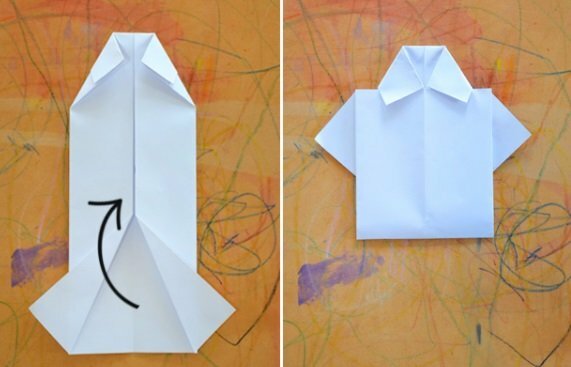 Fold the bottom of the paper up and tuck it under the collar at the top, creasing the bottom to hold it all in place. Now you are ready to decorate your Bossy Baby business shirt! 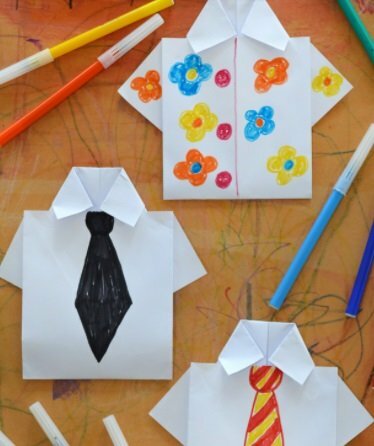 Grab some markers or coloured pencils and add a tie, some buttons, a pocket, or whatever decorations you like. We made a Boss Baby-inspired shirt with a nice black tie, as well as lots of other fun designs, including a flora Hawaiian shirt! ‘Boss Baby’ is out now on 4K Ultra HD™, Blu-Ray™, DVD & Digital.